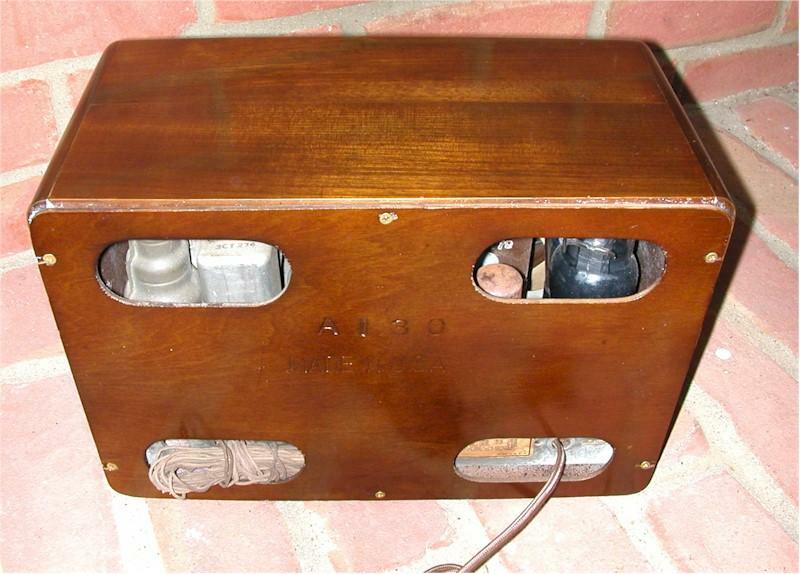 Beautiful wooden radio; this is a six tube model. Cabinet is nice and tight with no issues. New line cord and the radio plays. The dial string will slip now and then, probably needs adjusting or tightening. 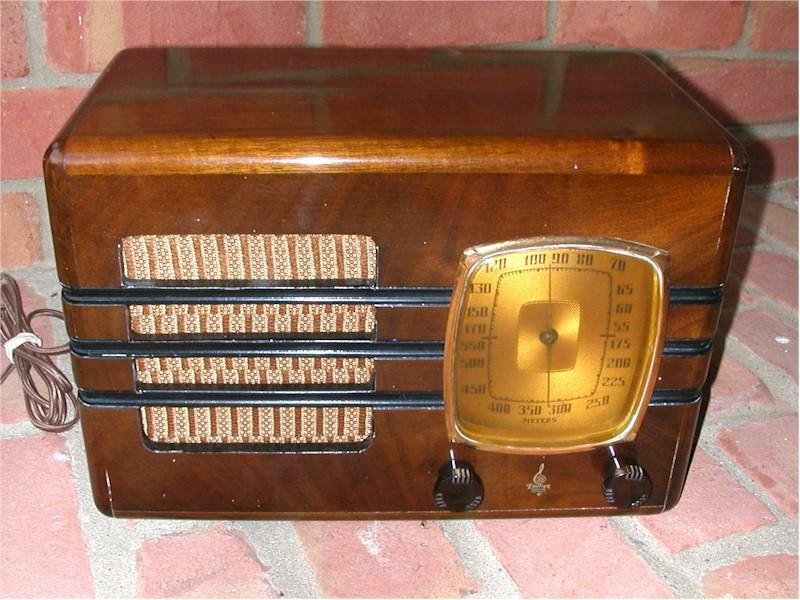 Radio has the full wooden back intact. A really nice set. You are visitor number 4,024 to this page.